Chris and Charlene’s story is one of true Northern determination. Despite snow and setbacks, the Beast from the East did not manage to freeze over their big day! 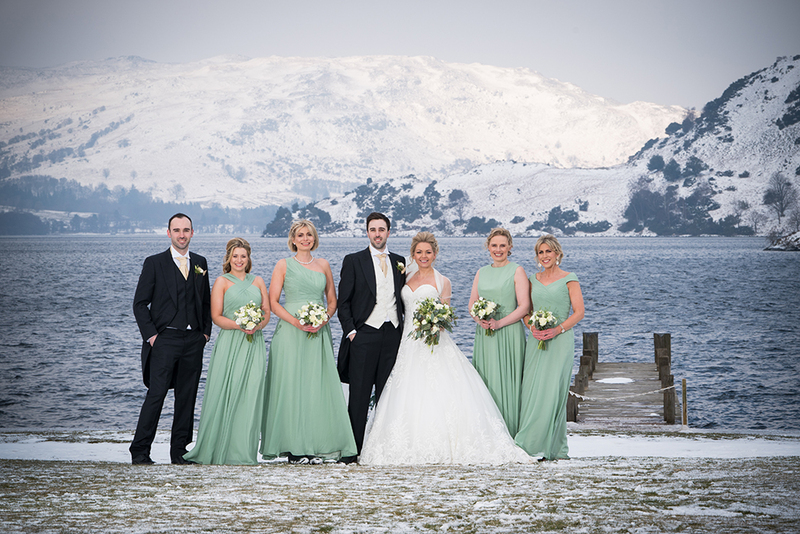 With their ceremony, reception and meal taking place at Inn on the Lake in March, Chris and Charlene had planned a beautiful Spring wedding with pastel green tones, rustic bouquets, and an outdoor ceremony under the lakeside gazebo but the Cumbrian weather had another idea. Landing in the middle of the infamous ‘Beast from the East’ storm, Charlene said “The days before the wedding were emotional to say the least. 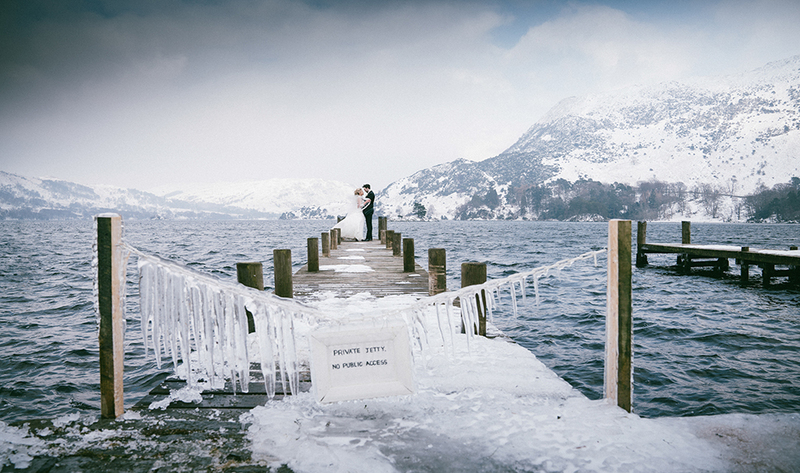 Many other venues were cancelling their weddings due to the extreme weather conditions, and we prepared ourselves for the fact that our wedding may not happen”. Unfazed by the weather, our staff at Inn on the Lake were determined not only to make sure the wedding happened but that it was a truly special day for the couple. With reserve suppliers on standby and plenty of nervous guests to reassure, Kerri and the team were fully prepared! 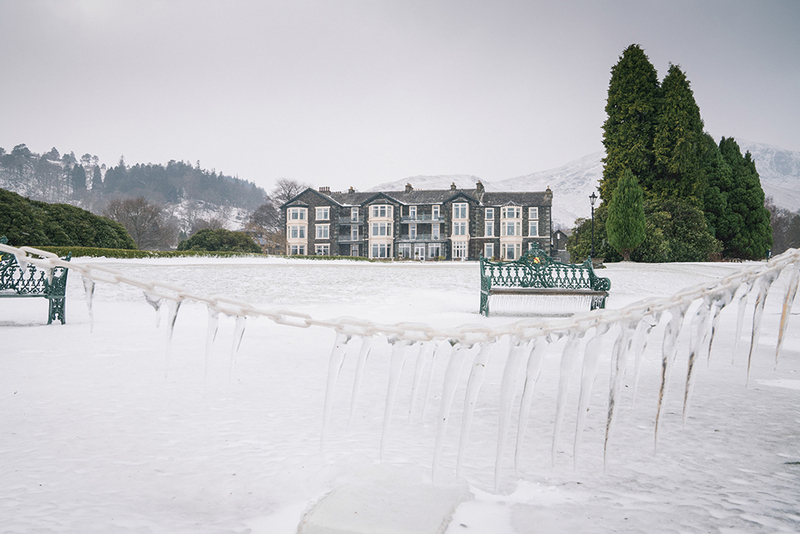 With everyone pitching in to help, the hotel’s general manager and chef braved the freezing temperatures to shovel the path to the lake to ensuring the couple could incorporate the magical Ullswater surroundings in to their day. Other suppliers included Classic Ensembles who brought guests to tears and laughter with their mix of upbeat and moving covers. 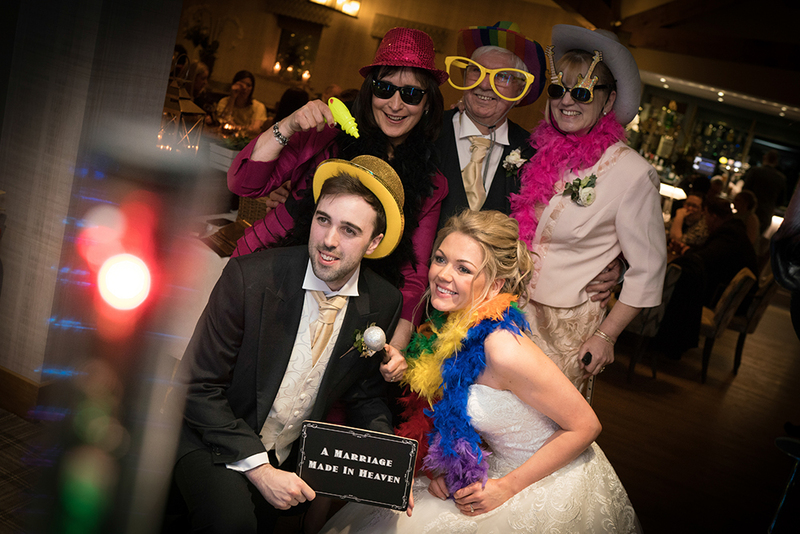 Peaches & Cream rose to the challenge, changing the bride’s hairstyle at the last moment to suit the extreme weather and Photobooth Cumbria kept all the guests entertained throughout the night! Charlene and Chris added “this venue and the team are incredibly special to us, and we returned recently with our family to celebrate our pregnancy news!”. 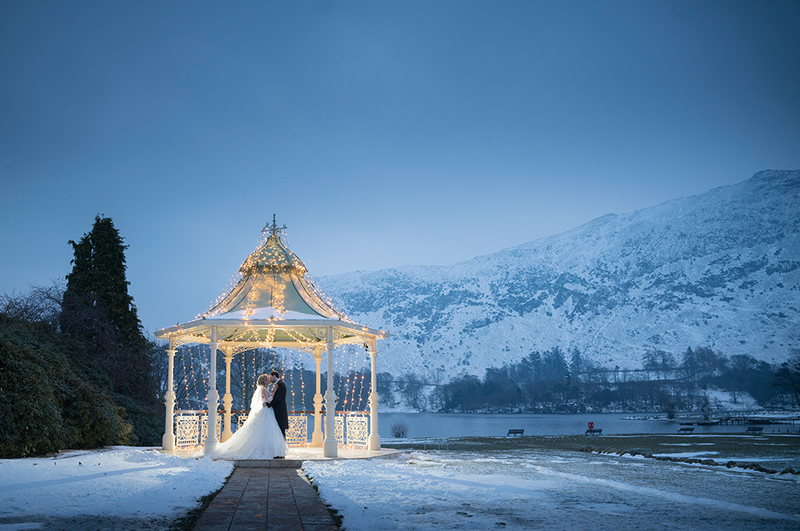 The Inn on the Lake is licensed to hold civil wedding ceremonies and offers an exceptional setting for your special day, any day of the week, whatever the weather! We have many years experience carrying out wonderful ceremonies like Charlene and Chris’ and we offer flexibility when it comes to numbers – from smaller more intimate gatherings to much larger celebrations up to 150 guests. 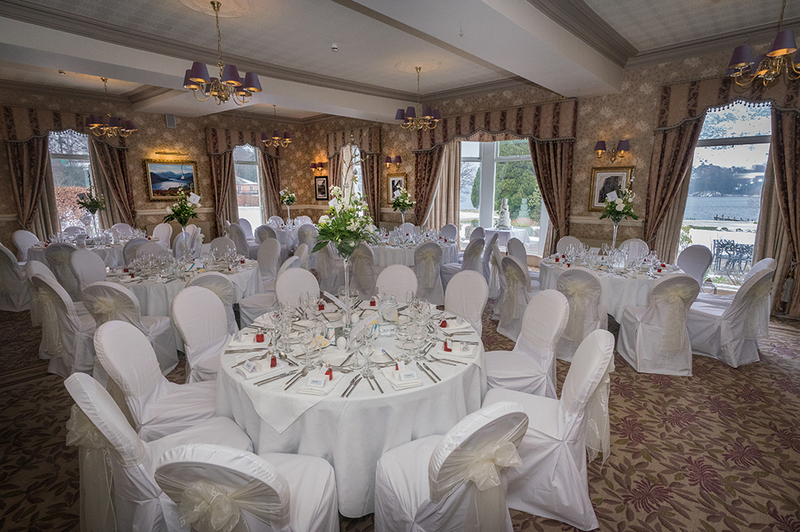 To arrange a viewing of the hotel call our team on 017684 82444 or join us on March 17th for our Spring Wedding Fayre.